We started with the original Falcon 2000 platform –– one of the most popular and successful Falcons ever. Then we optimized its strengths to create the Falcon 2000S. 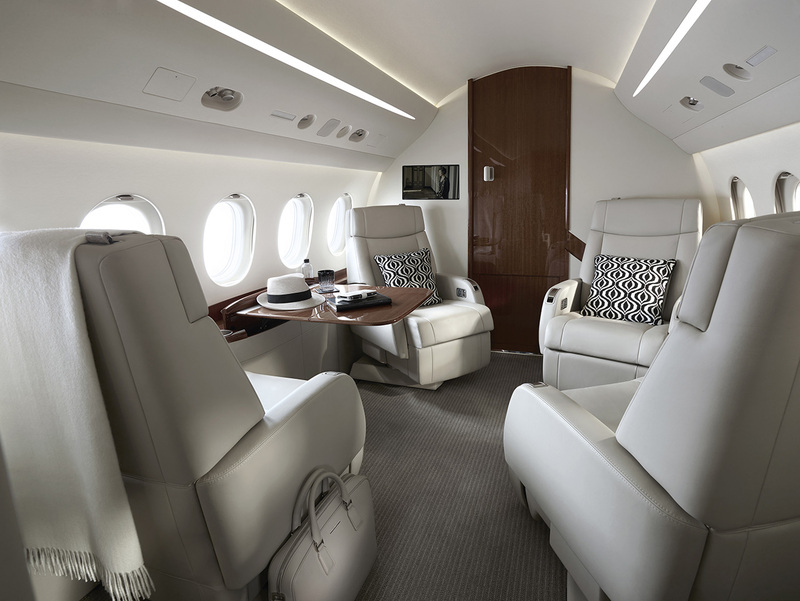 A perfect balance of performance and economy, the 2000S satisfies all the requirements of a modern business jet at a sig​nificantly lower cost. This aircraft is powerful and efficient, with an impressive cabin and an impressively lower cost of operation. With redesigned wings, enhanced engines, an advanced cockpit and improved maintenance features, the 2000S will save you money without s​acrificing the many qualities Falcon owners prize. A business jet for those who have wanted a full size Falcon at a midsize price, the 3,350 nm (6,200 km) Falcon 2000S is a bird of a different feather. It’s a big cabin jet without the big cabin costs, offering more aircraft at a cost of operation normally associated with smaller jets. Its cabin is elegant and modern with the spacious comfort and exclusive refinements you need for eight-hour flights. What’s more, with its beautifully blended winglets and upgraded engines, this is one of the leanest, greenest, most efficient Falcons yet. You can expect advantages in every aspect of ownership, from the moment you purchase to the day you realize its higher residual value. Because the 2000S isn’t just more affordable, it’s all Falcon. Welcome aboard. With its high efficiency, productivity and performance and low direct operating costs, the Falcon 2000S has the best figures in the business. Fasten your seatbelts. The Falcon 2000S is all muscle, speed and agility. And because it was designed, built and tested by the same people who build legendary Dassault combat aircraft, it handles cleanly and predictably, true to its fighter jet DNA. The end result? 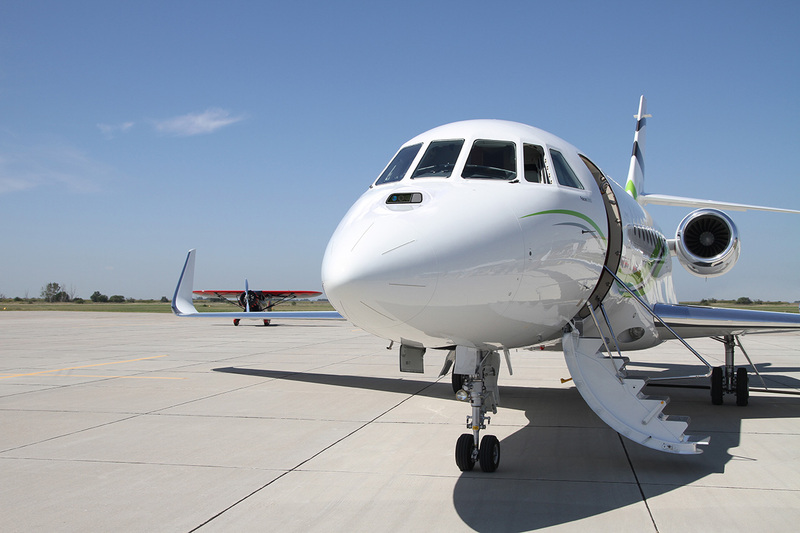 The Falcon 2000S has the capabilities to take you and your business to the next level. With its certified altitude of 47,000 ft (14,326 m) and its power to climb directly to 41,000 ft (12,497 m), the Falcon 2000S takes you above most traffic and bad weather. And it can fly 3,350 nm (6,200 km) nonstop. Due to its excellent short field capabilities, you can takeoff and land at smaller, more convenient airports. 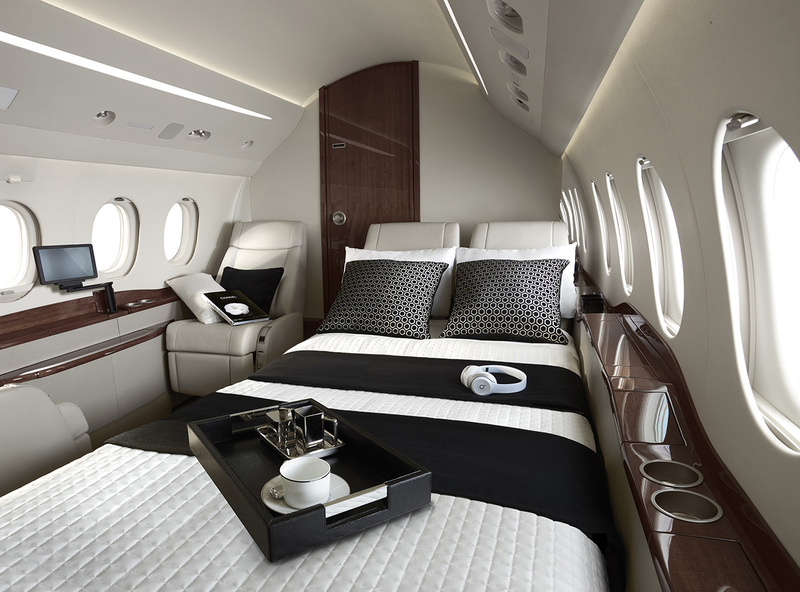 The Falcon 2000S connects business centers like Paris and Dubai, Moscow and Beijing, London and Bangor, Shannon and New York. Routes beyond the nonstop range of midsize jets — and at a lower cost per nautical mile than most aircraft in its class. The Falcon 2000S can land at 95% of its maximum takeoff weight. Which means you can fill the tanks at home base, where fuel prices are often less expensive. Then make multiple short hops, and still have plenty of nonstop range without refueling, saving you time and money. The airfield performance of the Falcon 2000S is extraordinary, thanks in large part, to its optimized, fully slatted wing, and the benefits can be felt from takeoff to touchdown. Assuring you access to challenging airports with short runways and steep approaches like London City. In fact, the 2000S can comfortably navigate a 6° steep approach, twice as steep as the competition. It also gives you more range from short fields at high elevations on hot days. And lets you land more slowly, safely and confidently. The Falcon 2000S has the same, generous wide-body cross-section as our longest-range Falcon – a cabin considered ideal for 6,000nm trips. Elegant in quality and style, the exclusive BMW Group Designworks USA interiors created for the 2000S make intelligent, refined use of available space. Highly advanced aerodynamic and structural design. Lightweight, space-age materials. And techniques and technologies that assure precise manufacturing and assembly. That’s how planes that fly at twice the speed of sound and pull nine times the force of gravity are made. It’s also how every Falcon is built. In the very same factories with the very same CATIA software by the same people who build our fighter jets. At Dassault, high technology and high efficiency run in the family. The same double-servo actuators used on the Rafale fighter give Falcon 2000S pilots the highest precision of flight control. And that’s just on​e example. 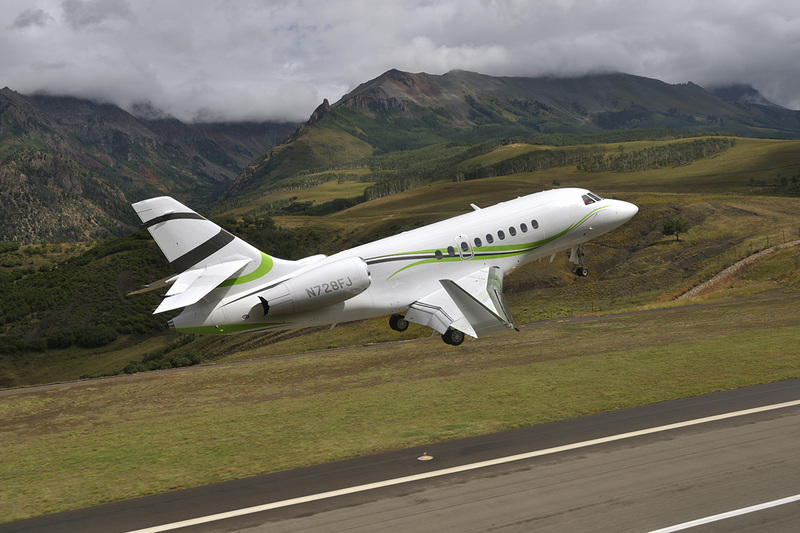 The Falcon 2000 is designed to fly with extraordinary efficiency at every altitude. The wing is optimized to reduce drag and lower fuel consumption. High Mach blended winglets which are both beautiful and functional reduce fuel burn by an additional 5%, while full span leading edge slats and slotted Fowler flaps further enhance efficiency over the entire flight. Paired with twin Pratt & Whitney Canada engines that boast best-in-class smoke and emission performance, it’s easy to see how the Falcon 2000S delivers on its promise of uncompromising efficiency and performance. Dassault’s first EASy flight deck forever raised industry standards for intuitive flying and situational awareness. 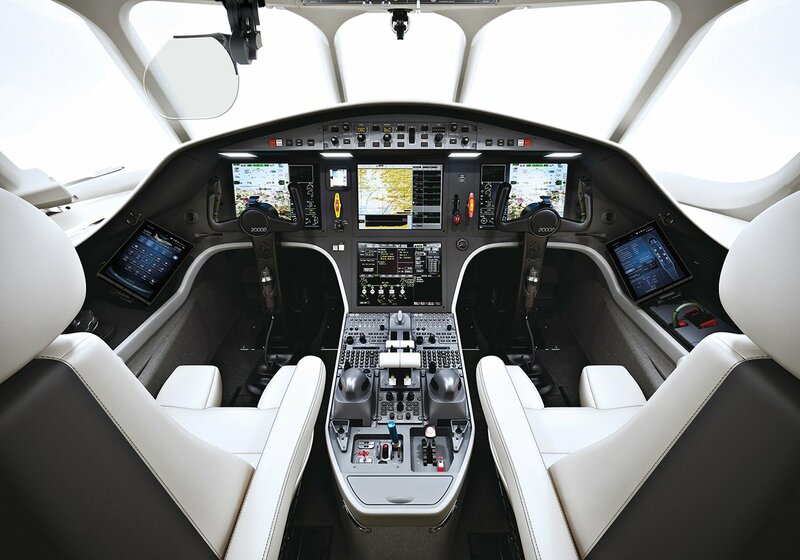 Now the Falcon 2000S boasts the next generation of this astonishing command center. EASy II combines the intuitive feel of a fighter jet with the most advanced avionics and computer back-ups. It further reduces pilot workload in countless ways, automating or abbreviating tasks that are repetitive, stressful and distracting. EASy II further enhances operational capabilities and functionalities in particular thanks to its integrated Synthetic Vision System (SVS). The results are astounding. Vastly improved crew coordination. Increased automation awareness and unsurpassed situational awareness. Perhaps even mo?re remarkable is Dassault’s unique combined Head up Guidance System and new infrared camera, FalconEye. 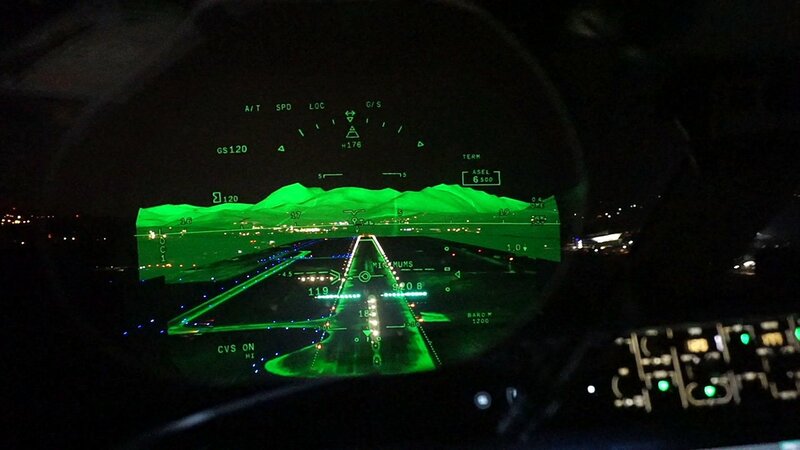 An industry-first, FalconEye is a full-time, multi-spectral, high def, Combined Vision System (CVS) that marries an Enhanced Vision System (EVS) and Synthetic Vision System (SVS) into one harmonious heads up view –– an invaluable advantage, especially during takeoffs and landings and while taxiing. EASy II’s Flight Management System (FMS) enables options like an enhanced navigational package, which allows for a wider range of approaches. Add XM® Graphical Weather and you get the big meteorological picture plus a host of enhanced weather products. And there’s Automatic Dependent Surveillance – Broadcast (ADS-B Out) — the cornerstone of the next-generation Air Traffic Management (ATM) System as well as CPDLC (Controller-Pilot Data Link Communications) functions. And EASy II introduces a number of safety-enhancing features as standard equipment. Its improved symbology further optimizes situational awareness. While the available SmartRunway™ Runway Awareness and Advisory System (RAAS) reduces the risk of runway incursions and excursions with audible alerts. Twin enhanced Pratt & Whitney Canada PW308C turbofans power the Falcon 2000S. A rugged, 7,000 pound thrust engine from this renowned manufacturer known for its reliable engines, the PW308C incorporates advanced technology for high durability, low emissions and low operating costs. Proven over a million flight hours, it’s tailor made for the Falcon, complementing the plane’s superior aerodynamics with high levels of efficiency and dramatically lower emissions. The PW308C offers a fuel advantage of up to 35% over other large cabin planes and 10% over much smaller, less comfortable cabin jets. With improvements to both the combustion and fuel delivery systems, the new PW308C engine boasts best-in-class smoke and emission performance. Enhancements include a high-efficiency, reduced-volume TALON II™ combustor with enhanced fuel atomization characteristics. This engine satisfies FAA, ICAO, CAEP/6, smoke and emission level standards, as well as meets Zurich class 5 requirements, with margin, on NOx and CO levels. What’s more, the PW308C is optimized for ease of maintenance. Engines are warranted for 5 years or 3,000 hours and thrust reversers for 5 years or 5,000 hours. Perhaps best of all, the PW308C’s impressive time-between overhaul requirement of 7,000 hours, keeps the Falcon 2000S out of the shop and in the air. At Dassault, we’re making an impact by minimizing our own. Falcons are typically lighter and smaller than other aircraft in their class and are designed and built to fly more efficiently at all altitudes. That saves fuel, saving you money. And for every pound of fuel saved, the environment is spared 3.15 pounds of CO2 emissions. The Falcon 2000S is designed to be one of the most efficient Falcons yet. Its wing is designed and equipped to reduce fuel costs and carbon emissions. Its clean, optimized shape reduces drag and lowers fuel consumption. Blended winglets reduce fuel burn by an additional 5%, while full span leading-edge slats and slotted Fowler flaps further enhance its efficiency. It all adds up to the lowest cost of operation in its class, a hallmark of Falcon ownership. Falcon 2000S owners can also benefit economically from FalconCare®, Dassault’s guaranteed maintenance cost program based on an hourly pay-as-you-fly philosophy. FalconCare® ensures predictable operating costs and enhances resale value. For all of these reasons, the 2000S is one business decision that will prove its wisdom as the years fly quietly by. At 7 feet 8 inches (2.34 m), this is a true wide body cabin. Wider and more elegant than competitors, offering comfort for 10 passengers on a six-hour flight. With 6 feet 2 inches (1.88 m) of headroom, you can stand comfortably and move around easily. With everything you need to collaborate productively before an important meeting. Or, relax on the way home. With SatCom and high-speed Internet, the transition from office to aircraft as seamless as possible. 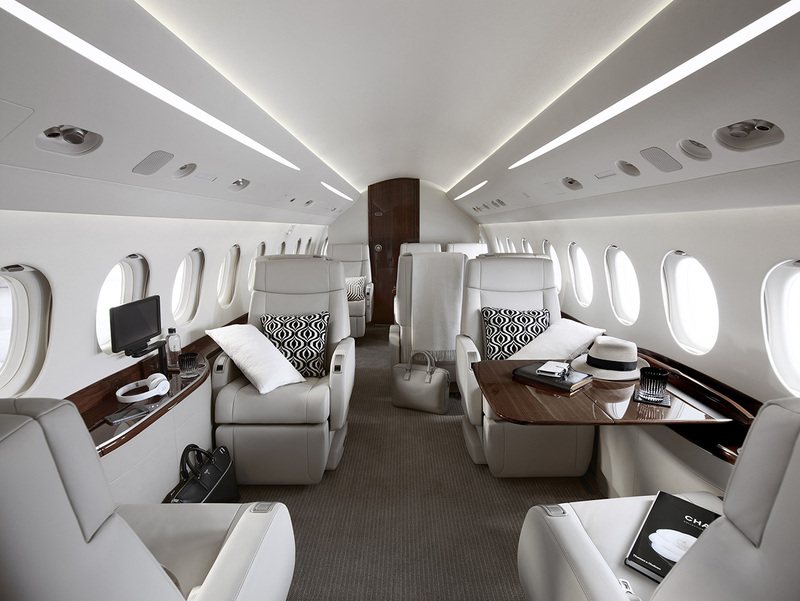 And the 2000S is equipped with Dassault’s FalconCabin HD+ management and entertainment system. This all-digital, fully integrated system provides Blu-Ray and fully supports your portable media devices. Elegant and intuitive, its controls give passengers command of cabin functions from anywhere in the cabin using their Apple® devices. Falcon cabins are among the quietest in the sky. And now they are even quieter thanks to sound-dampening engine mounts and advanced acoustic insulation. The Falcon 2000S also supports your wellbeing with abundant natural light and air that is constantly refreshed, so you arrive at your destination feeling rested and invigorated. The 2000S is available in the four most popular cabin configurations and your choice of three, pre-selected color harmonies, allowing you to spend less time and money on minute details. The selection is more than handsome. Smart and stylish, each interior makes intelligent use of available space. 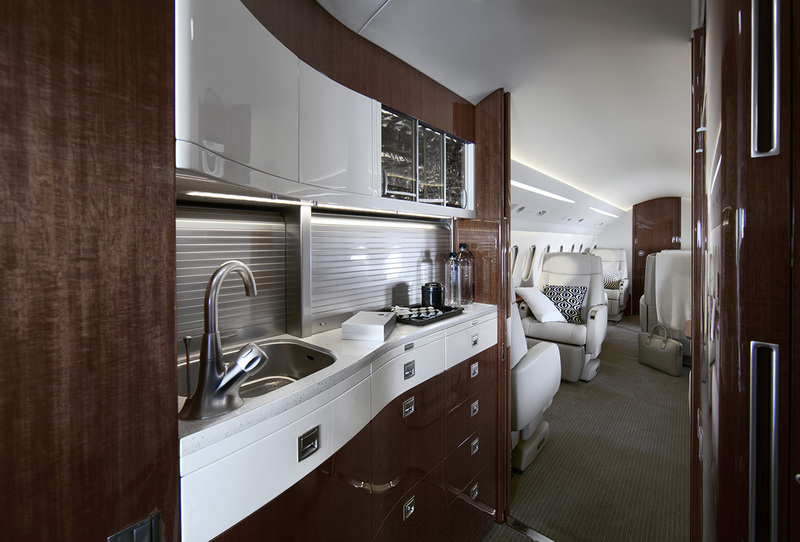 And Dassault’s gifted designers show Falcon’s rich textiles, supple leathers and gleaming finishes to their best advantage.